UPSEE 2019 admit card update: UPSEE 2019 admit card is now available on the official website. Dr. APJ Abdul Kalam Technical University has released the UPSEE 2019 admit card online. Candidates appearing for the exam can now download UPSEE 2019 admit card from the official website. Simple steps to download UPSEE 2019 admit card can be found below. How to download UPSEE 2019 admit card online? Candidates should thoroughly check all the information provided in the exam hall ticket. 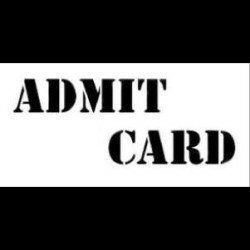 UPSEE 2019 admit card can be found online. Candidates are advised to download the admit card from the official website.